About a week ago I had the pleasure of meeting Jimmy and Eddie Russell at Total Wine in Columbia, SC. I could probably write for a good while on how awesome that visit was for me personally, but as for the event itself things were easy going – laid back and simple. In a strange way it reminded me of meeting Santa Claus as a young child. You have all of this excitement built up – what it might be like, what you plan to say, etc. – but when you finally get there, your brain forgets all of that, time slows down, and you revel in the experience instead. Needless to say, it was a great visit. And while the highlight of the event was simply being in the presence of Jimmy Russell, a big man of genuine politeness and patience, I’ll admit that sharing some bourbon and conversation with Eddie Russell was just as rewarding. I also had the chance to chat with some other Turkey fans – the whole experience reminding me of the best thing this hobby has to offer, sharing. In a time of year when folks are chasing this or that allocated whiskey – standing in lines, entering lotteries, paying high premiums, etc. – I was happier than any limited edition KSBW could ever make me. Speaking of sharing, did I mention that there were two Wild Turkey single barrels available for tasting that day at Total Wine? When I first approached the event table, I was asked by the friendly staff if I’d like a sample. I’d already noticed the Russell’s Reserve Single Barrel bottle with a private selection tag (as many of you know, I can easily spot RRSiB bottles 200 paces away on a dense foggy night). Sipping Russell’s Reserve with the Russell’s? Bucket list, check! But to my surprise, I’d made one minor assumption. There was a second bottle, a Kentucky Spirit selection by Total Wine, and that was the bourbon I was handed. While my personal preference leans Russell’s Reserve Single Barrel over Wild Turkey Kentucky Spirit, it honestly didn’t matter that day. I stepped away from the table with my tasting glass and began to carefully swirl and nose the Kentucky Spirit. I was instantly impressed with it’s unique candy-like structure … intense toffee, spiced gumdrops, oranges. As for the taste, it wasn’t at all the typical Wild Turkey 101 profile I was expecting. I began to doubt myself thinking I was caught up in the moment, yet each time I nosed and tasted the whiskey, I couldn’t help but be impressed. I moved on to taste the Russell’s Reserve Single Barrel selection, which I won’t spoil with any notes today, but I should stress that the Kentucky Spirit selection continued to haunt me. I just had to try that WTKS one last time (just to make sure I hadn’t fooled myself). Again, I was impressed. And sometime around that point, still wondering if maybe the glass or atmosphere was throwing me off, Eddie walked up and said, “That’s a nice Kentucky Spirit pick.” He didn’t remark on the Russell’s Reserve pick (which was a fine barrel, in my opinion), but that little mention about the Kentucky Spirit pick came as a welcome confirmation. As I’m sure you’ve already guessed, the Total Wine Kentucky Spirit selection went home with me that afternoon (signed by the Russell’s, of course). Now it’s time to give it a formal tasting, with my own Glencairn glass in my own familiar atmosphere. While it won’t be quite the same without the Russell’s around, I’m nevertheless excited to see if this single barrel measures up to the memories. So with those in mind, here’s to Jimmy and Eddie! Overall: I honestly couldn’t be more pleased. This Total Wine Wild Turkey Kentucky Spirit selection has something special – something far greater than the average “single-barrel version of WT 101.” You know the second you nose it – the sweet toffee, orange, and spice are intense, yet delicate at the same time. There’s loads of classic Wild Turkey character, but it’s definitely not a carbon-copy classic Turkey profile. There are elements that remind me of Lincoln Road’s Russell’s Reserve Single Barrel select no. 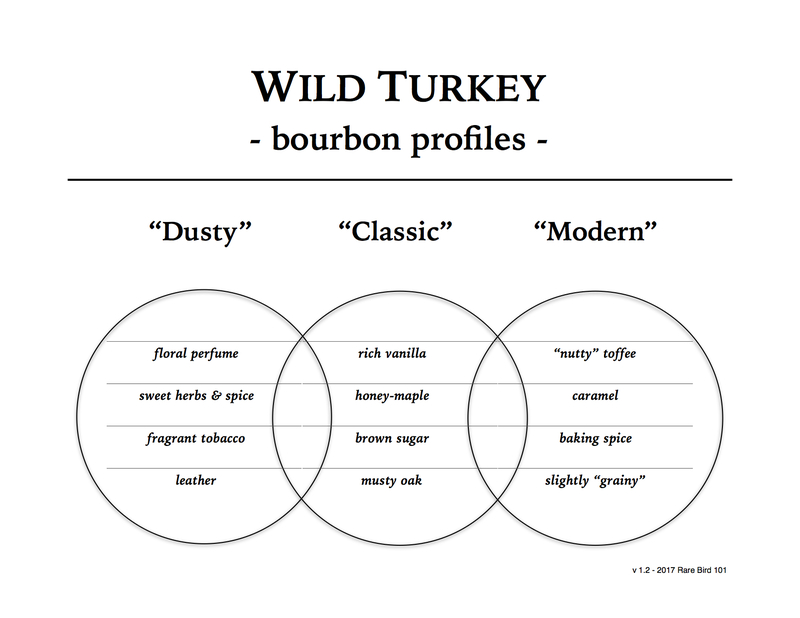 1, elements of Wild Turkey Freedom, and elements I can’t entirely place with any other Wild Turkey release. It’s somewhat of a dessert profile, in some ways like Russell’s Reserve Rye but not at all “rye-like” in flavor. Again, it’s special, it’s unique, and it’s undeniably delicious. It seems with every whiskey I review, I learn something new. In the case of Total Wine’s 2015 Wild Turkey Kentucky Spirit selection, I’ve learned that one can’t assume Russell’s Reserve Single Barrel selects will always be superior to Kentucky Spirit selects. Generally speaking, that’s often the conclusion – but not today – not with this WTKS barrel. If you’re anywhere near Columbia, SC, I highly recommend stopping by Total Wine and purchasing this bottle before they’re gone. I promise you won’t regret it!